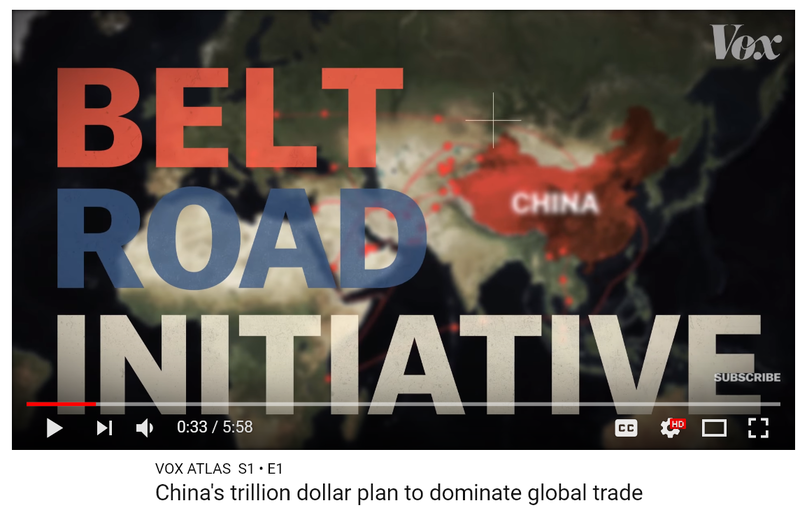 Vox has put together a great little video on how long range Chinese thinking can be when it is connected to their investment strategies. And a big one here is their Belt Road Initiative where they are building the infrastructure, across many nations, to revive the once unrivaled silk road trade route. And the idea is a very good one. We, of course, are going to see this sort of thing and then panic. Oh my god we have a Silk Road gap now instead of a missile gap. Or we have a long term investment strategy gap or some such thing. We do this because we see things only in terms of our previous bad economic dynamic which so often casts things in a light where, if one nation wins something initiative wise, everyone else, obviously, must lose. 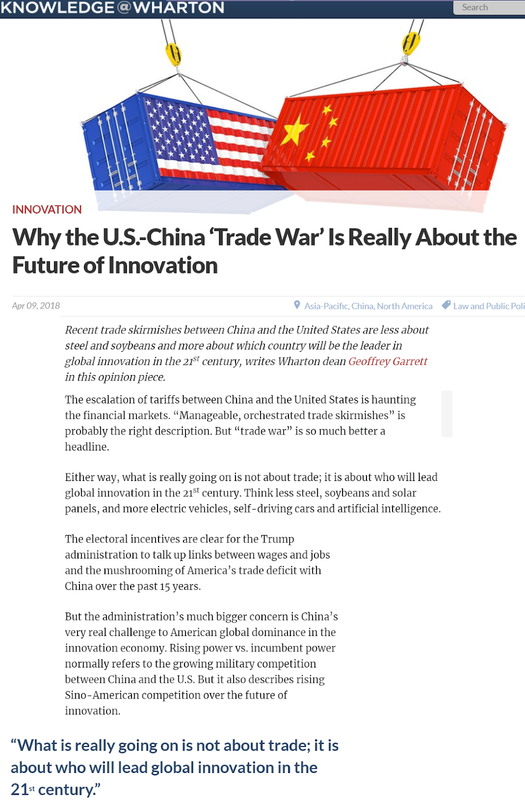 In doing this, though, we miss out on one very crucial aspect that I have been trying to emphasize for a while here: and that is simply the fact that the Chinese are doing is what I have already labeled enlightened self interest. 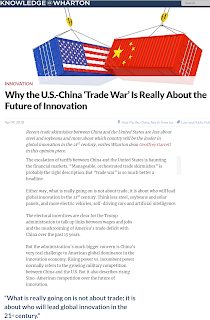 Namely that they are investing in, and helping other nations with infrastructure -- in this case with ports, roads, and bridges, getting Chinese construction companies involved in the process, while also ensuring for closer ties to a host of potential, new trading partners. And let's also be clear here. Trading is good. For the most part. Even if these are not very good nations towards their own people, trading keeps you connected, and, hopefully, talking, to each other. Which is good in its own right. And maybe, by talking, even if you can't change how a people view the world, and how they think life should be lived, if you keep talking you might at least get Nations to let the people not happy with life in their country leave. And then, if you were really forward thinking, you would also help these people create new habitat for them to live in. And I think, if you were to talk to the Chinese, they would see this as a long term benefit as well. Something we might be able to partner with them on so as to start building trust, instead of fear based competitions. The the thing to remember here, though, is that we can do this kind of long term thinking as well. And not only that, we could do it better; especially if we get rid of the old economic dynamic that keeps us from see this kind of "enlightened self interest" thinking as the boon to world peace it really is. And we could do it better as well because we could build a better way to do world connecting than just more roads, ports, and bridges that need constant maintenance and repair. We could do it with a better mix of Hybrid Dirigible Blimp, air born trains, and the balanced construction of low, medium, and large scale airtrain ports; a system that could be maintained far more easily, and give far more flexibility in getting cargo where it is needed, when it is needed. The bottom line here is really quite simple. It is only through acting with "enlightened self interest" that we are going to be able to save this planet. It is only through that kind of helping investment that we will enable the rest of the world help us start moving the ever on going billions we will be generating as a growing population to migrate off world to the new, and absolutely fantastic, habitats we will build as a combined planet of newly minted, long range thinkers. [Post Note: The following opinion piece from Knowledge@Wharton gives some insight into how tricky it can be to understand what "Innovation" might be when it involves two competing super powers; recognizing that cooperation would be the better road, but now that we've entered the phase of "dangerous competitions," how are we to navigate that at all, especially when you throw in increasingly scarce resources, and a dying planet? And now that the hawks on both sides want to do a lot more sabre rattling at every turn? For me, certainly, this is just another nail in the coffin that is "Capitalism Is Obsolete." 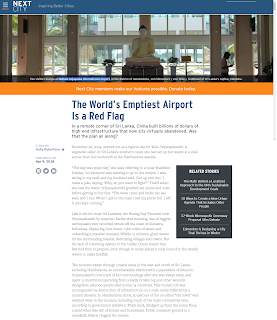 It just serves to show that this out of date operating system isn't fit at all any more to deal with a completely new kind of world reality; a reality of vastly new instrumentality, as well as the accumulated, unpaid costs, of all of the past, so called innovation. True, we have gained unbelievably in material well being generally, but that hardly changes the fact that we have done terrible damage to this planet in the process. And now, of course, we add insult to injury not only with too many people in one limited ecosystem, we also still think we can wage really hot, cold war. Which is madness of the most profound sort.